Waterpik WP660 Ultra Professional Water Flosser. 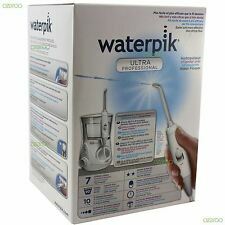 Waterpik Ultra Professional Water Flosser with UK 2-Pin plug. A unique combination of water pressure and pulsations cleans deep between teeth and below the gumline, removing harmful bacteria and debris that traditional brushing, air flossing, and string flossing can’t reach. Sviluppati per un acceso eccellente a tutti gli spazi interdentali. Scovolini facili da usare. Muovere lo scovolino avanti e indietro per qualche volta in ciascuno spazio interdentale. Pulizia tra i denti anteriori: usare lo scovolino dritto tra i denti anteriori. Waxed dental floss. A thorough daily oral care routine is important to protect your teeth and gums - and it supports a bright and shining smile. Daily flossing should always be part of your daily oral care routine. Genuine Plastico product. Individually wrapped in paper for hygiene. Great to use anywhere, keep in your wallet, purse or bag. Hollow tapered with pointed end. Floss Threaders take the hassle out of cleaning around dental appliances and trouble spots. The simple loop fits any type of floss and the flexible tip makes it easy to get into small or awkward spaces. A thorough daily oral care routine is important to protect your teeth and gums - and it supports a bright and shining smile. Daily flossing should always be part of your daily oral care routine. Waxed dental floss. 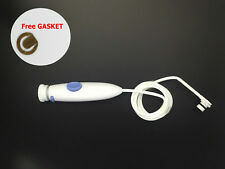 Two Oralcare Handle for Waterpik WP-100 Standard Water Hose WP-100 WP-130 WP-140 WP-670 WP-660 WP-900. Two Oral Hygiene Accessories Standard Water Hose Plastic Handle for Waterpik flosser Ultra WP-100 WP-450 WP-250 WP-130 WP-140 WP-670 WP-660 WP-900. Gum Softpics enthalten Fluoride. GUM Soft-Picks Interdentalbürsten 40 Stück PZN 5138654 incl.1 Reiseetui. Gum Soft-Picks Interdentalbürsten regular 40 Stück. Kleinteile wie Interdentalbürsten von Kleinkindern fernhalten (Gefahr des Verschluckens). Pratique, ce cure dent de poche trouvera sa place dans votre trousse de toilette, dans votre sac ou dans votre porte monnaie. La pointe se range dans un support métallique pour plus d'hygiène. - Longueur cure dents 40 mm. • 76, soft, rubber bristles massage and stimulate gums. • Convenient travel case for on-the-go use. • Safe for dental implants, bridges, crowns and orthodontics. • Tapered design fits between small spaces. 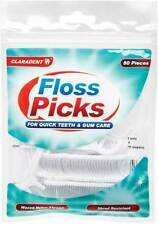 An essential product for dental hygeine - these floss sticks are small but practical. They feature floss string on one end, and a toothpick on the other. Product Details. #1 Stimulator. Latex free rubber tip. Stimulates and strengthens gum tissue. Professionally designed for effective stimulation and firming of gum tissue. Professionally designed to promote healthy, firm gums. Applicable Waterpik Ultra WP-100 WP-450 WP-150 WP-130 WP-160 WP-660 WP-6 WP-900. For this cheaper compatible gasket, there is no any screw included. Stoddard Icon Yellow Standard Interdental Brush - 25 Brush In 1 Pack. DenTek Comfort Clean Floss Picks gently and comfortably remove food and plaque to keep your teeth and gums clean and healthy. It is designed to be used by people with tightly spaced teeth and sensitive gums. 100 x Cinnamon Toothpicks 100%Natural An Unique Cinnamon product from Sri Lanka. An unique Cinnamon product from Sri Lanka ( Ceylon ) Where cinnamon was gifted to the world. Why not quit smoking by chewing a cinnamon toothpick. Interspace removes 25% more plaque than brushing alone when used after 2 minutes of brushing. Brush heads are interchangable with all Oral-B handles (excluding Pulsonic/Sonic). Dental Care. Sound & Vision. Aids the prevention of tooth decay and gum disease. Designed to clean in between teeth and remove plaque and food debris. Use daily after brushing. 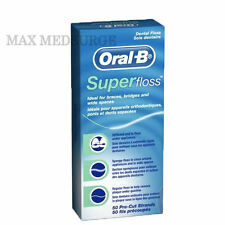 - Reduces the risk of bad breath. GUM Soft-Picks Interdentalbürsten x- large 40 Stück PZN 04712097 incl.1 Reiseetui. Gum Soft-Picks Interdentalbürsten x-large 40 Stück. Kleinteile wie Interdentalbürsten von Kleinkindern fernhalten (Gefahr des Verschluckens). Idontix X-Floss Lite Thin Dental Floss - 30 Strands In Pack. Wisdom Easy Daily Flosser. New Wisdom Easy Floss daily flosser makes flossing easy. Disposable floss heads. Makes flossing between the back teeth really simple. Long handle design allows easy access to difficult to reach areas. Curaprox CPS08 Prime Interdental Brush - Pink 0.8mm - Pack Of 5. 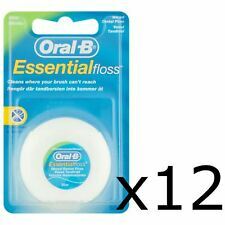 Oral - B Satin-Floss 25M (Mint Flavour). 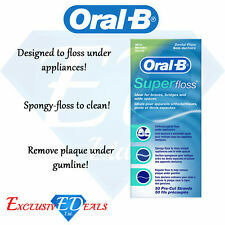 Oral-B SATINfloss; provides advanced flossing action for a fresh, clean feeling in your mouth. 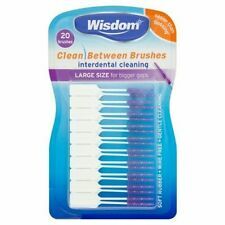 Wisdom Clean Between Easy Slide Flosser - P Shaped - 30 Flossers Per Pack. Flavor: Cool Mint | Size: 12 Individually wrapped pks of 24 ea. The special rounded safety tip protects gums and gumline. The tiny bristles brush away plaque and debris. Brushpicks have a flexible stem, which manoeuvres easily around hard-to-reach places. The base of the Brush Pick is scored for added flexibility around dental and bridge work. Wisdom Clean Between Easy Floss Daily Flosser. 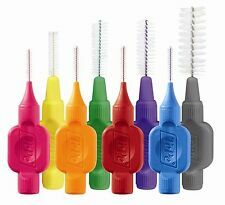 Piksters Interdental Brush - Size 1 Purple (Pink) 0.50mm - 10 Brushes Per Pack. Tandex Flexi Lime 1.00mm Interdental Brush - 1 Pack Of 6 Brushes.